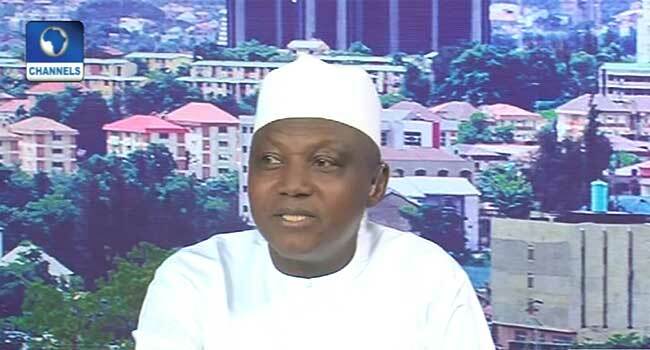 The presidency has stated that there is a political will to deal with the security challenges in parts of the country. Speaking on Channels Television’s Sunrise Daily, the Senior Special Assistant to the President on Media and Publicity, Garba Shehu, said that the peace Benue State is enjoying now is a testimony of the existence of political will in fighting insecurity. “I reject the assertion that the political will is absent to deal with this situation. There is political will because there are criminal prosecutions going on in Benue State and for the record, Benue State is certified as being peaceful,” he said on Tuesday. According to Shehu, the Internally Displaced Persons (IDPs) have gradually returned back to their homes in the north-central states. He explained that the military authorities have contributed towards making life better for the displaced persons by initiating boreholes for them. Speaking on the Boko Haram attacks, Shehu stated that the Federal Government has received commendations from the international community for containing the activities of the terrorists in parts of the country. “We have earned international commendation for containing Boko Haram and for confining them in one very little corner of the country and where they are being destabilised every day,” he stated. The presidential aide also decried a situation whereby the terrorists have now resorted into hostage taking, a scenario he says is not being new.